USBAgent is a freeware tool that can carry out instructions for when you add or remove a USB storage device on your system. 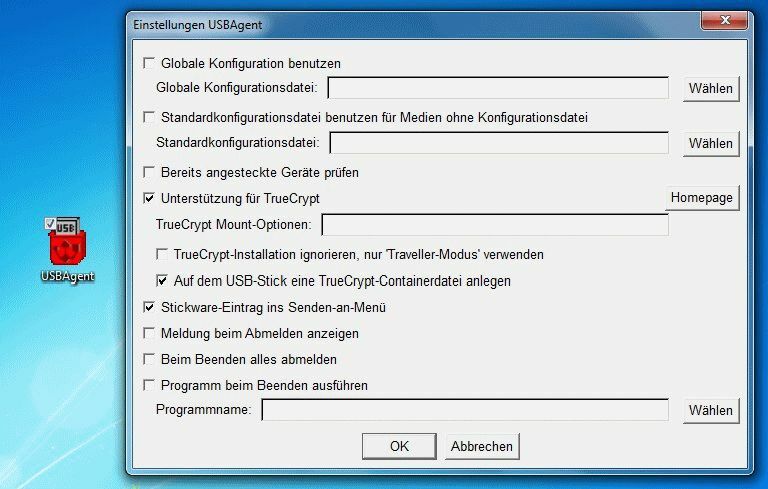 USBAgent can launch a program when you plugin or remove a USB stick, and it also have support for mounting TrueCrypt volumes from the stick. This is the 32-bit version of the software. You can get a 64-bit version here.